Every Thursday starting July 07, 2016 @ 7PM. 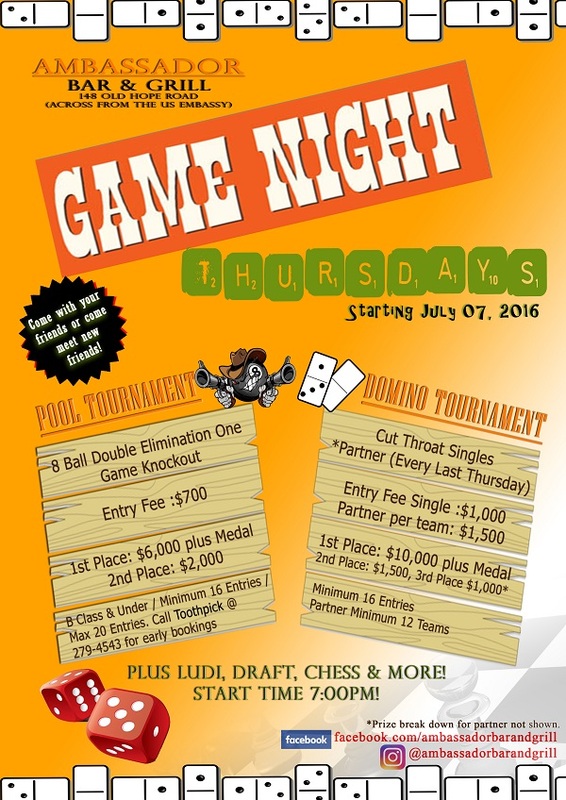 Games include 8 Ball Pool Tournament, Domino Tournament, Ludi, Checkers, Chess plus more! Follow our Instagram page @ambassadorbarandgrill and our Facebook page at www.facebook.com/AmbassadorBarandGrillJamaica. Come for a night of Fun and Friendly Competition.